Today architectures could be inspired by yesterday or the decades ago. Thus, it is important to value the history especially in architectural arts. There is one architectural museum in Malacca and it is highly recommended to those who are interested to look for basic information about the spread of architectural arts in Malaysia especially for Malacca since the Malacca Sultanate era. 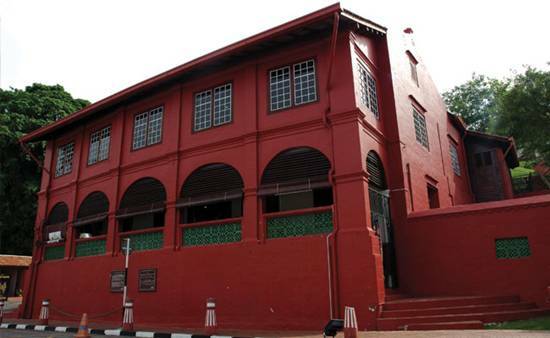 The Malaysia Architecture Museum which is located in Malacca used to be a house of Holland’s officer. The museum is now under the administration of Antiquity and Museum Association. The earliest plan of this building was to provide a place to display models and basic information about the important buildings and historical in Malaysia. The suggested concept was “Malaysia in Miniature” but then the suggestion end up with another best resolution of the establishment of the Architectural Museum as we know today. This museum provides various shows and models ranging from textual explanation, pictures and illustration, 3D models, murals and models of selected building are also being displayed here. Therefore, it is one of the famous museums in Malacca because not only providing the historical stories of Malacca’s development but also shares much information about famous places around Malaysia. Even so, this museum has no entrance fees and visitors can always visit during any time. The museum arranges the artifacts according to the themes and all the themes could be combined to make a storyline. Since the size of the museum is limited, only certain issues are highlighted and arranged starting from prehistoric era until post modernization era. This museum also gets various thoughts and ideas from academician so that this museum can attract various types of visitors. The Malaysia Architecture Museum is aiming to become a stop center or a resource center for research about architectures in this country and also well-known from other countries.